In this fast-paced world, where technology is always innovative, you need to keep yourself up to date with the latest developments. Email marketing campaigns play an important role in every business owner’s strategy, but they’re only effective when they are done right. Email hygiene is an important aspect of a successful email blast, so using an email list validator to keep your database in shape has become a must. Though it may be a foreign topic for you, email validation works wonders. It removes invalid and fake email addresses from your list and helps you reach your customers. If you think that email validation is one tricky game, you probably haven’t tried it yet. It’s actually fast and easy if you use an email list validator to do the job. 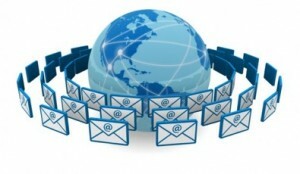 There is a number of email validation services on the market nowadays, and you can select the one that suits your needs. If you aren’t convinced yet that you need an email list validator, perhaps you should continue to read this article. 1. It reduces your bounce rate. Every email list has a certain number of invalid and fake email addresses. You may be taking great care of your email hygiene, but spam traps, catch-all, disposable or abuse emails can always register on your mailing list. All these addresses pose a risk to your sending reputation and your overall email deliverability. An email list validator reduces your bounce rate and helps you reach your customers. When your sender reputation improves, there’s a higher chance that your emails land in your subscribers’ inboxes, not in their Spam folder. Here is how it works: if your email list is messy, lots of your emails are going to bounce or hit a spam trap or an abuse email. These addresses tarnish your reputation, so removing them from your list is imperative. Once your email list is clean, Internet Service Providers will trust you and will tend to send your emails to the Inbox. 3. More information about your subscribers. A great email list validator not only cleans your email list, but can also provide you with additional information about your subscribers. On certain addresses, it adds details such as the gender, name and location of the owner. If, let’s say, you’d like to segment your list according to location, you can do that and send personalized email content. You may ask yourself how would an email list validator help you save money, since you have to pay for the service? Well, think about how much you pay your email service provider to allow you to send your campaigns. If you have many bad email addresses in your list, you are basically spending that money to send your emails out in vain. An email list validator removes useless and risky addresses, thus saving you money in the long run.